An exhibition on horse and horse races about which the great painters, Stubbs, Géricault and Degas expressed themselves differently in a personal and original way. Could we dream of a better place than the Domaine de Chantilly to organize this exhibition on horse races? Symbol among the symbols of the racing world! Chantilly certainly is. This exhibition introduce us in the rich and elegant sphere of racing, originally in England in the early nineteenth century and then in France two generations later. The exhibition "confronts" three artists that all seemed to oppose: Stubbs, Géricault and Degas. Here, it is Degas that interests us. Henri Loyrette, curator of the exhibition, presents with finesse and a deep knowledge of the subject, this world which marked the century. Its racetracks and the bourgeois high society that frequented them, a whole section of politicians and business people. "But the big deal is the representation of the movement and especially the galloping horse", he says. This is, of course, what makes the difference between the three artists beyond any social or sociological approach. Certainly Henri Loyrette weaves the web of this slice of society, first English, then French. Necessary explanations, to better grasp their ramifications. Also useful to understand why and how Degas chose to run his horses not in racetracks but in the "countryside". 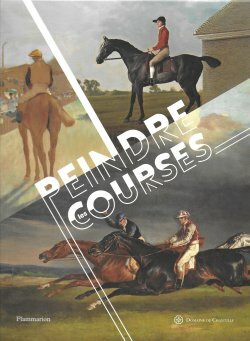 In the chapter The racing scenes of England in France, Henri Loyrette recalls that at Degas, "horses and jockeys appear for the first time in a notebook used [...] in Florence, Siena and Paris in 1858-1859". So very early in his work. And to continue: "The race course is first of all a field of experience for Degas, that of the modern subject, which allows him to experience the open air [...] and the installation of figures in the landscape". The scenes drawn by Degas are nothing like those of Stubbs and even less so those of Géricault. Races are rarely the elegant racetracks of Longchamp and Chantilly not to mention Epsom. The gentlemen's race. Avant le départ (Musée d'Orsay RF 1982) is a peri-urban place where, on the hills on the horizon, smoke-filled chimneys stand out, testifying to the industrial activity of the time. Unlike Stubbs and Gericault, in our opinion the "master" of the horse, Degas's horses do not usually gallop. He often represents them at rest or walking. Never or almost "belly down". Jockeys à Epsom (Cambridge, Fogg Art Museum) is an exception but is not this a proof of the English influence? Sometimes Degas even deforms the horse as in Sémiramis construisant Babylone (Musée d'Orsay RF 2207). 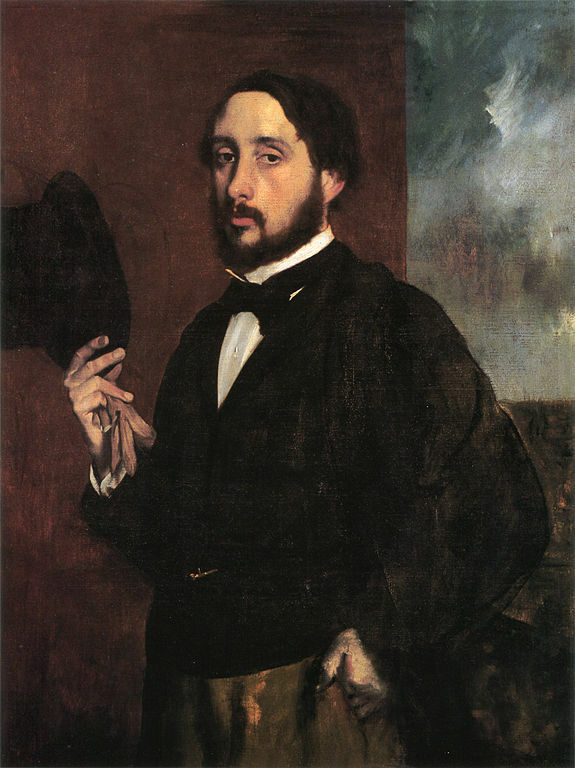 Here, Degas forgets Ingres, to whom, however, he has unlimited admiration. How could he turn away from his model? The inaccuracies - one could also speak of deformation - are legions in Degas, in his drawings of naked women as well as in the representation of horses. We often find inexplicable stiff legs that he so well knew to draw. The proof ? It can be found, for example, in Avant la course (cat 31, p. 145) but also in the Cheval de course avec jockey belonging to the Boymans-van-Beuningen Museum in Rotterdam (Fig. 64, page 161). To understand the distance he then took with the scientific experiments of Marey and Muybridge, Degas explains that "we see how we want to see, this is false, and this falsity constitutes art" (quoted p. 161 ). Thus arises the mystery of his inaccuracies, his awkwardness and his deformations. In fact, he interpreted reality in his own way, ignoring the exactness that science has just revealed. He was certainly not the only one. The sculpture obviously does not escape the exhibition. Degas's horses are moving, fiery, galloping. Rarely static. Did the material play a role? Meissonnier, Delacroix (who could have been shown at the exhibition just like the others!) and other painters still influenced Degas. Note the sumptuous drawings in black ink by Gustave Moreau where the horse is of an eloquent modernism. A revelation ! To understand the exhibition, the place of Degas and the choice of his works presented, you must read the catalogue and all the subtle and erudite explanations of Henri Loyrette. An advice : read it before the exhibition. Jeu de Paume, Domaine de Chantilly from June 16th to October 14th, 2018.